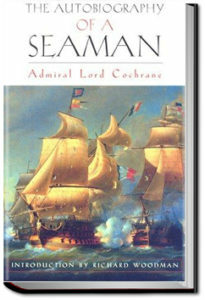 This two volume work is the autobiography of Lord Cochrane, a naval captain of the Napoleonic period. His adventures are seminal to the development of naval fiction as a genre. Marryat sailed with Cochrane, while later writers borrowed incidents from this biography for their fictions. Most notable among these is Patrick O’Brian, three of whose novels have clear parallels to incidents in the life of Cochrane. This first volume covers Cochrane’s earlier life, during which he is most active militarily. This second volume of the biography of Lord Cochrane deals with his fall from grace, imprisonment for debt, loss of honours, and attempts to clear his name. It has had a marked influence on naval fiction, most obviously on some of the novels by Patrick O’Brian. This entry was posted in Action/Adventure Books on April 21, 2017 by allyoucanbooks.